Need to Register for Online Services? 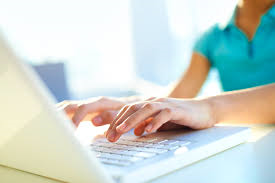 To register successfully you will need to read the 'Online Services Records Access Patient information leaflet 'It's your choice', complete the 'Application for Online Access to My Medical Record form' and provide photographic identification. The link below contains the 'It's your choice' leaflet together with the application form. 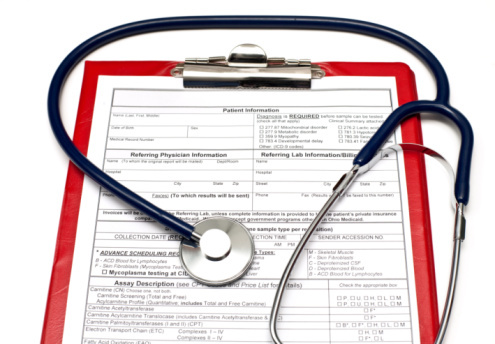 You will need to come into the practice with all the information requested. A member of staff will then check the details and complete the process. They will issue you with a username and a password. Please note that you will need to come in yourself to register for this facility and applicants must be 16 years and over. Since June 2018 you can contact our doctors online using eConsult. eConsult provides medical advice at the click of a button. Here you can lean more about your condition and contact your GP via an online form. This will allow the GP to decide on the most appropriate treatment options for you and you will receive a response by the end of the next working day. You can also request test results and extensions to fit notes. "Excellent speedy reply. Have always found Wallingbrook exceptional"
"It's a very efficient service which provides a good response time but also saves the Practice time too"
"Easy, quick, thorough and reassuring"
"Very quick reply...Putting my mind at rest"
"Saved me a 10mile round trip. Knowing that all I needed was a hospital referral. I was glad not to waste GP time by having an appointment (for which I'd have had to wait) and able to request it in a manner convenient to me over the weekend. Brilliantly efficient response by the end of Monday morning!" "It's very convenient and easy to use"
"Very quick response - much faster than booking a face to face or telephone consultation. I could explain my problem in my own considered words, rather than being rushed in a consultation or by answering questions." Our practice nurses are available by appointment. The nurses undertake wound care and dressings, removal of stitches, routine immunizations, also contraceptive advice, cervical smears, blood pressure and urine checks, advice on healthy eating, smoking advice and menopausal problems. During the month prior to your birthday, you will receive an invitation by email, text or automated voice message asking you to make an appointment for the yearly review of your medical condition(s) including a review of the medication you are taking. This enables you to choose a day and time most convenient to you. We provide a quick, efficient service for cuts, falls, minor head injuries, burns, scalds and foreign bodies if they’ve occurred in the last 48 hours. We aim to beat the local A&E waiting times and there’s no need to travel to Barnstaple or Exeter. The doctors perform a wide range of minor surgery procedures. A doctor or patient service team can advise you of the necessary arrangements. To view other healthcare services at Wallingbrook Health Group click here. 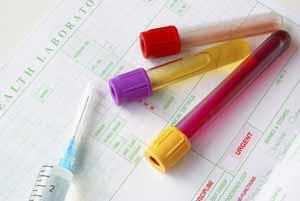 Doctors, nurses or midwives ordering blood tests or other investigations will discuss with you how to get the results. If you need to telephone for results, please do so between 2:00pm and 5:00pm. Please note that you can access test results via Online Services. Most blood test results are available within 7 - 14 days. Urine and pregnancy tests within a week. Smear tests take up to 2 months. Before leaving the surgery you should expect to have a clear understanding of when and how test results will be made known to you. We would attempt to contact you about seriously abnormal results, but you should always check with us on the result of a test. Please note we are only able to give test results to the patient themselves (over the age of 16 years) unless we have written consent given permission to pass the information to another named person. Forms are available at reception. The fees charged (listed below) are based on the British Medical Association (BMA) suggested scales and our patient service team will be happy to advise you about them along with appointment availability. You can now register to receive information by text or email regarding appointments and health care. NHSmail is a national secure collaboration service for health and social care, designed to enable the secure exchange of information by emails and other methods. NHSmail uses the Trend Encryption Micro service to support NHSmail users sending secure, encrypted emails to any email service free global hosted email services such as Gmail/Hotmail and other privately-run email services. Guidance for recipients of encrypted emails which have been sent from an NHSmail account can be found here. It explains how to register for the service, open and read encrypted emails and send an encrypted reply. It also provides important guidance about information governance and ensuring sensitive information that has been received remains secure.